The online world is changing at a rapid pace. Not a day goes by without an advance in technology. But with this never-ending transformation, how do you ensure your business stays ahead? The key is adopting a future-proof strategy that allows social media to act as your first line of defense. As an insulator, social media can protect you from those waves of change that threaten to derail your company. Tune in for this episode of Brand Authority Podcast, where I share exactly how to do that. With so many social networks, picking one to focus on can be overwhelming… but it doesn’t have to be. You simply need to do your research in order to understand where your audience is spending their time. A great way to do this is to start a listening campaign. Go to Facebook, Twitter, Instagram, and Pinterest – find out what your followers and your competition are saying around your niche topic(s). Which network(s) are they most active on? How are they interacting? What content are they sharing? You want to make sure not to spread yourself too thin, trying to be everywhere. Instead, set up a home-base on 2-3 social networks that are right for you, and commit to them. Then you can focus on drilling down on your audience’s wants and needs within each network – and building a strong presence. Don’t fall victim to the shiny object syndrome, chasing after each new network, strategy, or tactic. Social media is not a sprint, it’s a marathon. You want to be in it for the long run. This means you need to set actionable social media objectives and understand how they support business growth. You will never know the full capabilities of a network or process if you don’t commit to getting and being there. If you let people see that YOU show up on a consistent basis, that consistency will push you towards credibility, authority, and ultimately, success. Building relationships on social media is critical to future-proofing your business. You can’t just send a few tweets or like a few posts and expect people to invest in your brand. Take the time to get to know your audience – the people talking (or looking) for the same thing your business has to offer. To accomplish this, do some research within each of the social networks. Search out your keywords and identify conversations around those topics. Start using those hashtags in your posts, and give people a chance to find and connect with you. This will help you build credibility, awareness, and relationships with people in that industry. Perhaps the most important way to future-proof your business is to create a brand that’s instantly identifiable and one people trust. 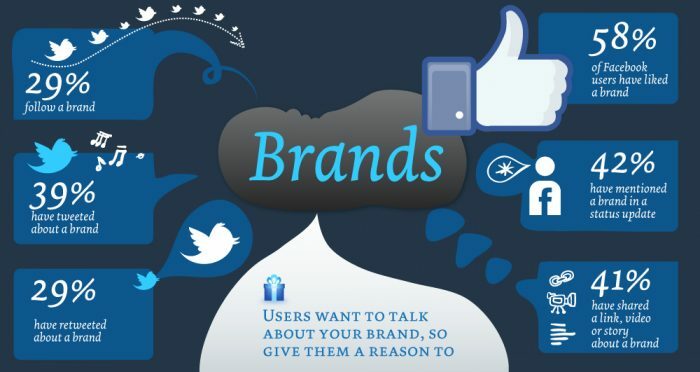 For that, you need to translate all the characteristics that make up your brand, across social media. Who: Who are you speaking with? Issues: What problems do you solve? Need: What are their specific needs? Your answers will become the driving force behind your use of social media and how you brand your business online. After all, once you understand your WIN, you’ll be able to speak to the Who, the Issues, and the Need in a clear and concise way. As a startup or small business, ensuring that the wave of online change doesn’t pull you under is more important than ever. 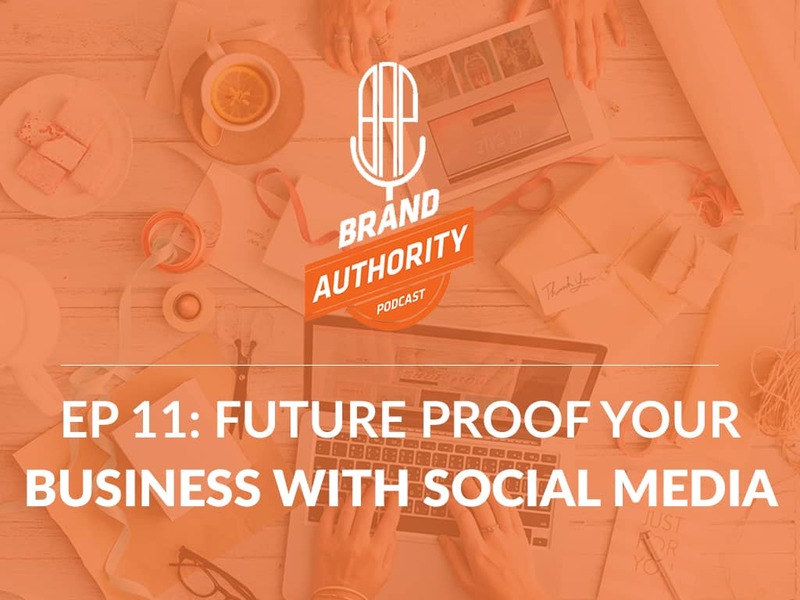 If you commit to the 4 strategies I shared in this podcast, you’ll be able to use social media to strengthen your brand and future proof your business. Great article Rebekah, thanks for the share. What would you recommend to a business owner. 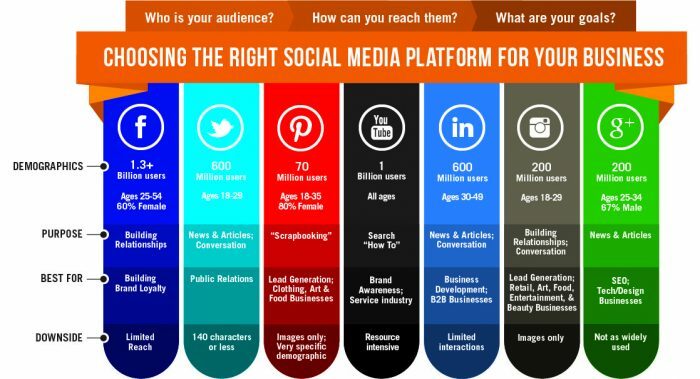 Which social media platform should be the main priority? Another tip to summarize and build on all that was mentioned: be mindful of the fact that your brand is co-created with your audience on social media. and our identity do not reflect as a fake person. Indeed there are numbers of social media platforms today and just be on one of those will not get us remembered for two long. We need to develop our skills, so that we can leave our mark behind all the social media platforms.